Some Important All-Star News And Information!!! Welcome to the 2003 All-Star season, and to the All-Stars web site. We would like to wish everyone the best of luck in 2003, and to wish everyone a safe and fun year. Welcome to the official B.R.E. Unlimited All-Stars web site! On this site you will find all the All-Star information.Everything from the schedule, race results, race analysis, standings, kids corner, last years results, and all other related information. Come out on a night when all the stars are out (The Unlimited All-Stars that is). For the best edge of you seat go kart racing you will find anywhere, Come and join up with the Unlimited All-Stars. Rated X for extreme and explicit racing action, Coming to a track near you!!! The All-Stars don't necessarily want the most, just the best. So if you think you have what it takes, come and join up with us. You might be glad you did! Thanks for taking a look at our site and check back often. Every time there is new information I will be updating. 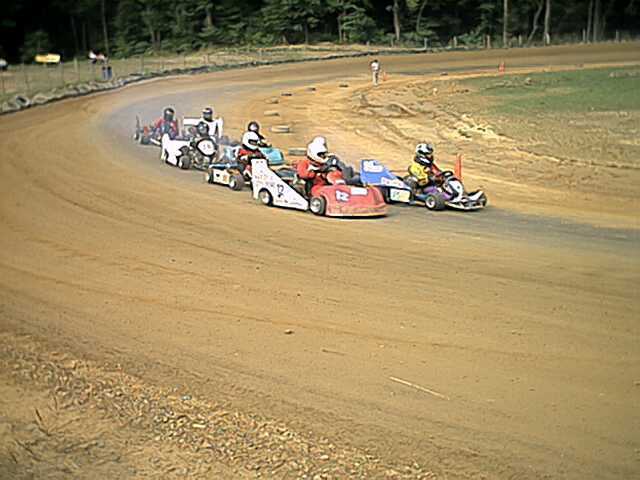 The opening race for the All-Stars this year is at Naugle Speedway on April 26 2003. Gates open at 4:00, Hot laps at 6:00, Racing starts at 6:30. Four All-Star point races at Naugles last year and three different feature winners, need I say more? Naugles is one of the most competitive race tracks of the series, as well as one of the fastest and more challenging. Keith Clark held of Scott Deasy by the skin of his teeth in last years season opener for his first ever All-Star feature win. Mark Bergfelt was the only two time All-Star feature winner at Naugles last year. Jim Capel was the third All-Star feature winner at Naugles, as well as the non point nationals winner last year. So who will win the opener this year, one of last years three winners at Naugles or someone different? If you ask me it could be anyones race to win! For the most competetive racing you will find anywhere the All-Stars are for you. For All-Star rules or race information.